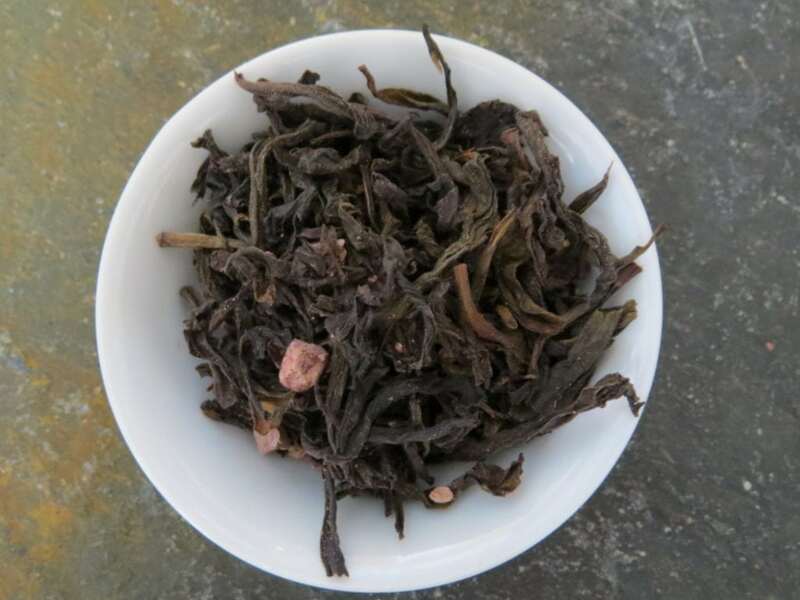 ‘Dragon’s Heart’ is the last of the experimental oolongs we created per a customer suggestion. I am starting to feel like we should have a chocolate version of all of foundational teas. The name was easy – the Twitterverse (through a wonderful author I follow) pointed me at a children’s book called “The Dragon with the Chocolate Heart” – and it made me happy. I confess that I have not read it yet, but the name stuck and seemed perfectly suitable for the tea. 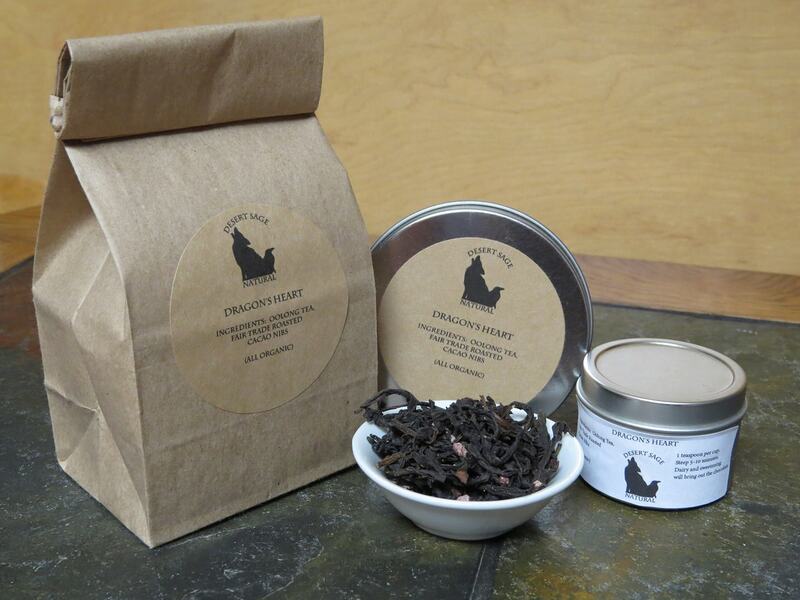 This entry was posted in Black Tea, Chocolate, Simply Tasty Teas, Things We make (Tea, Coffee, Cocoa) and tagged Chocolate Tea, Desert Sage Natural, Dragons, Organic Black Tea, Organic Chocolate Tea, Organic Fair Trade Cacao Nibs, Organic Oolong Tea, Wu-yi Rock Oolong Tea by DesertSage. Bookmark the permalink.